If bullfighting were forbidden, the "
Aside from the animals, there is the possibility that bull breeders will sell the "
bulls) to property developers, with the consequent loss of natural habitat. the most ecological meat in the world'. This would be lost if bullfighting is prohibited. Bull populations and breeds can be sustained even though no bullfighting is practiced. It is not in the interest of any animal population to be bred simply to suffer for the sake of humankind. alleged "high quality meat" and as breeders. 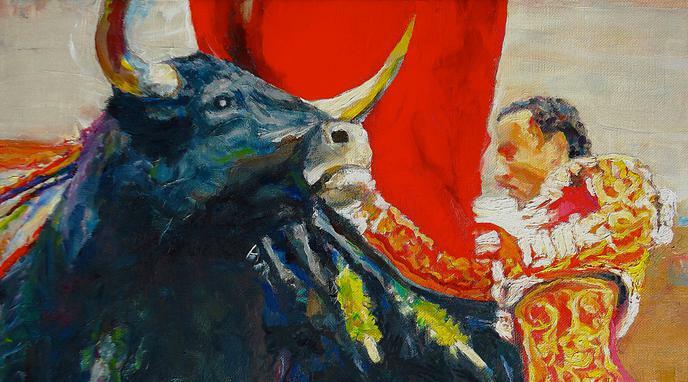 If the people who raise Toros Bravos actually cared about them, they would continue to raise them regardless of whether or not there are bullfights. Their claims as to their probable extinction should there not be bullfights, only point to their total lack of regard for the well-being of the very animals they claim to defend. "Toro Bravo" is a breed created by humans to be especially aggressive. They are unnatural and have no value outside of bullfighting. We should let the population die out. breed is for rewilding purpose, the 'toro de lidia' should definitely be protected until the world finally understand that we don't have the right to selectively breed species or make them go extinct. Humans created the "Toro Bravo". We are entitled to discontinue the breed (humanely) if need be.